Since 1997, UFH has led the way in private international healthcare in China. After almost two decades, UFH has established itself in Beijing, Shanghai, Guangzhou, Wuxi, Tianjin, Qingdao, and now Mongolia as the provider of choice for those seeking premium, personalized healthcare. UFH is constantly striving to meet and exceed worldwide service quality and patient safety standards. This level of quality is evidenced at our international hospital facilities, which together with our 14 satellite clinics and medical centers comprise China’s complete, pioneering system of Joint Commission International (JCI) accredited facilities. We thank you for choosing us to care for you. We understand the trust you have placed in us by allowing us to provide for your health and well-being. We accept our responsibility seriously and promise that we will look after you as if you were a member of our own family. We understand that making health care decisions can be confusing if not frightening. For this reason, we will keep you informed and help you to understand all options available to you. Along the way, we need you to tell us when you have a concern or question. We need you to tell us when you don’t understand medical terms or details of your care. If you are unable to follow your plan of care, we need you to make us aware immediately. If, for any reason, you would like a second opinion, let us know. To help you at any time, we always have a patient services representative and administrator on call. Should you or your family have any compliments, concerns, or complaints that need to be addressed, someone is available. We promise that sharing your concerns or complaints will not compromise your access to care, treatment, or services. We consider your health extremely personal and handle all matters in a highly confidential manner. We strive to treat each patient with respect and dignity and ask that you treat your fellow patients as well as our staff in the same manner. We pay attention to your special needs and respect any cultural considerations. Please let us know of any dietary, religious, or language needs you might have and we will respond to the best of our ability. At the end of your stay, we will explain any continuing health care needs and, should you require, a copy of your treatment records and medical records will be made available to you. We dedicate our lives to caring for others and we consider caring for you our privilege. A commitment to excellence in offering quality care and programs that set community standards, exceed patients’ expectations, and are offered in the most caring, convenient, cost-effective, and accessible manner. A commitment to providing care in a respectful, culturally-sensitive manner, remembering at all times that we treat people, not diseases. A commitment to being leaders within our communities in the application of both the art and science of medicine for the maintenance of well-being, and, when health fails, to the delivery of the highest-quality medical care. A commitment to continuing to provide a physical environment that supports our mission. 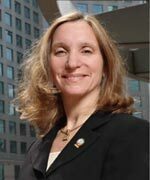 A commitment to care about people; to care about how we interact with them, to enrich the lives of our patients, visitors, and employees by creating a warm, welcoming environment that embraces individual creativity and cultural diversity, fostering collegiality, trust, and mutual respect. In September 2011, following years of preparation and several days of rigorous quality and safety inspections, United Family Healthcare’s entire network at the time was awarded with ‘Gold Seal of Approval’ accreditation from the Joint Commission International (JCI). 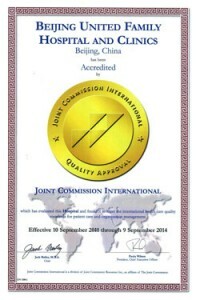 Beijing and Shanghai’s facilities successfully passed the JCI re-accreditation process, having first received the coveted accreditation in 2005 and 2008, respectively, while our United Family Guangzhou Clinic, as well as all other satellite clinics earned accreditation for the first time. Endorsed by the World Health Organization, JCI awards quality accreditation to only the highest echelon of healthcare providers in the world. The select hospitals which meet JCI standards measure up to top American and European hospitals in terms of patient care and safety. From the early development of our first hospital in Beijing, our mission of providing comprehensive, personalized healthcare in a uniquely warm and caring environment has never altered. In order to achieve this goal, UFH forever strives to improve the quality and safety of patient care by working to reduce risk. A large aspect of this commitment to excellence is fulfilled through our endeavor to achieve impartial, international accreditation. This triennial re-accreditation provides us the opportunity to have an objective third-party confirm we meet the world’s highest quality standards. 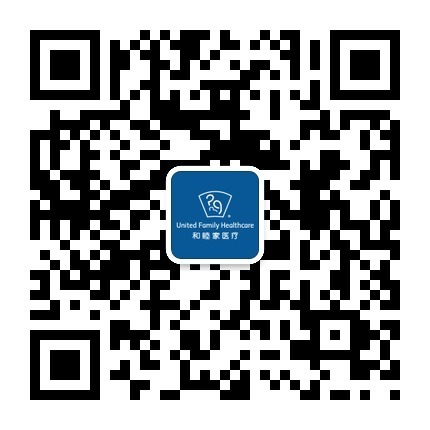 UFH is a pioneer of JCI accreditation in China. Should you have any concerns regarding the quality of care you have received, you may contact JCI at anytime at jciquality@jcrinc.com or via their website at www.jointcommissioninternational.org/Reporting-Quality-and-Safety-Issues.